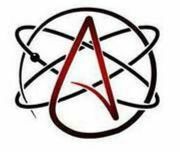 In the spring of 2011, several of us who had been commuting to the gatherings of Inland Empire Atheists and Agnostics decided to see if an atheist community in the high desert could be found. After having several people show up at our first event, our group has grown to include well 188 people who have participated in various events in addition to our regular Sunday morning gatherings. Alternate Sundays, 10 am - noon - We gather at the McDonalds restaurant near the corner of Bear Valley and Apple Valley Roads. Our conversation ranges widely, depending on who joins us, and is not confined to atheist matters. Movies, technology, politics, books, opinions - it's all on the table! We meet in the separate meeting room at McDonalds, unless they happen to be using the room for employee training. In that case, just look for us in the main room. Flexible Thinkers Book Group - we gather on a monthly basis to eat pizza and discuss books chosen by those who attend. Some recent books include "Why There Is No God: Simple Responses to 20 Common Arguments for the Existence of God," "The Golden Compass," Richard Dawkins "The God Delusion," and Christopher Hitchens "Mortality." Secular Eating Disorder Group - Alternate Wednesdays, 3:00 to 4:30 pm, in a private office on Anacapa Road behind the Kaiser facility. This is a non-higher power support group modeled on the SOS (Save our Selves) alcohol and drug method. If you're interested, ask for more information please. A Festivus For The Rest Of Us - we get super secular over the holiday season each December 23. We have drinks and appetizers, hold a white elephant gift exchange, partake in the traditional Feats of Strength, and The Airing of Grievances. Here's as Festivus site if you're not familiar with the holiday. Hi Desert Restaurant Tour - sporadically we'll meet on a Monday night for dinner and conversation, exploring different kinds of food from around the world. Movie Night - we may go to the movies as a group, or to enjoy a film hosted by one of our members. Special Events - for example, in 2015 we saw Bill Nye the Science Guy, attended lectures at our sister atheist group, RAFT (Riverside Atheist and Free Thinkers), and visited a Buddhist Temple. All of these and much more are posted at Meetup.com.